SPOILERS for Pacific Rim Uprising coming through the Breach! I went to see Pacific Rim Uprising after viewing I Kill Giants and feeling too serious about the world on a Tuesday night. The place I saw I Kill Giants was a small theater that shows less mainstream movies so I went walking to find the nearest theater to catch a big popcorn film. There it was and I got there with enough time to just but tickets and a small bucket of popcorn. (I had water in my bag) I watched Pacific Rim Uprising and forgot about the world for two hours in a reclining seat. Is this the best movie I saw? No. Is it missing some of the charm of the Guillermo del Toro original? Yes. Did they tweak a bit of the story from the first movie here and there? Yes. Did I enjoy myself? For the most part, yes. It might not be everyone's cup of tea but it is good for a late night viewing when you need noise and a fun story about giant robots punching monsters in your life. 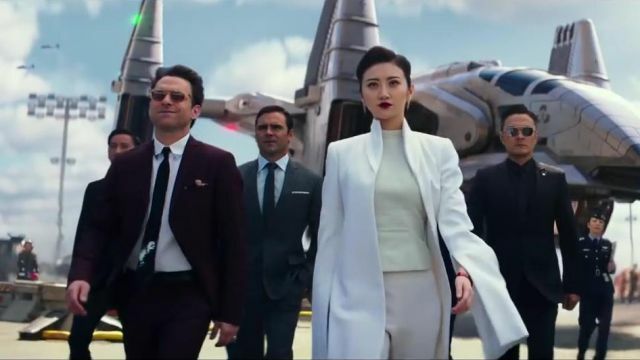 Now, I can talk about the plot of the movie and how the final battle in Pacific Rim is decided at the bottom of the sea and the final battle in Pacific Rim Uprising is settled at the top of the Earth. Or how at times it felt like an Americanized live-action version of The End of Evangelion but I won't. What I am going to talk about is something I observed but was probably not the intent of the movie creators. Or at least I don't think it was but let me not short change anyone on what their deeper vision might have been. I think Pacific Rim Uprising is the continuing story about generational progress that begin with the first film, from the G.I. Generation to Generation Z, albeit in a fantastical abbreviated way. This isn't a perfect one to one thing and I'm taking some liberties here but hear me out. The original Pacific Rim was a film created and directed by Guillermo del Toro. I think that movie was based on his love of the idea of kaiju in film and humanity uniting to stop an otherworldly evil that wants to replace us. Brave men and women arise and unite to finally end this threat, even with the total sacrifice that sometimes requires. The first film can be seen as the final battles of World War II. All the forces are there to defeat the threat of Nazis, this time in the form of the alien overlords known as the Precursors who send the kaijus through breaches to attack the cities around the Pacific Rim. Their goal is to eradicate the lesser species, us, so that they can create a home for themselves here. The different groups in the original can be seen as both the countries involved in the actual WWII and citizens trying to live in peace on the planet. The war finally ends when the Brit convinces the American to get into the battle and a nuclear device is used, this time by the aforementioned American and his Japanese co-pilot. Most of the figures in this movie either fall into the image in our head of the G.I. Generation and the Silent Generation that followed. 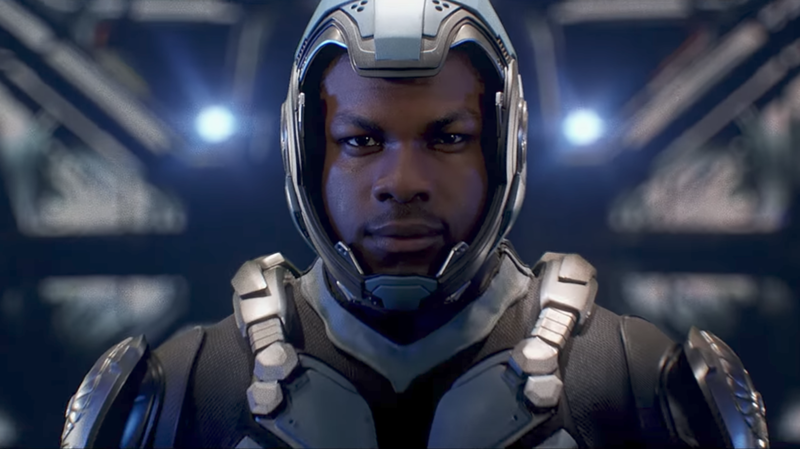 Okay, it's a stretch but it makes a little bit more sense when we get to Pacific Rim Uprising. Pacific Rim Uprising starts a decade after the finale of the original film. The cities are beginning to be rebuilt around the world while some places are left as is with people adapting to survive in the aftermath of the Battle of the Breach. We are following Jake Pentecost around this time. Jake is a former Jaeger pilot, seller of black market Jaeger parts and son of the hero Stacker Pentecost. Jake lives in a world where people live by trading, no one really owns anything and aren't attached to one particular place. Jake is a Millennial. Jake eventually runs into a young girl named Amara Namani, who also scavenges the old Jaegers but does so to build one for defense of what she fears is coming- the return of the kaiju. She has seen kaiju kill her family right in front of her eyes. She is familiar with the history of the Battle of the Breach. She also recognizes that the bad things that the adults think are gone for good can return to do more harm. Amara is preparing to combat this old evil and will use both the old tech that was left by others and her new tactics to get victory. Amara is a member of Generation Z.
Gen Z, Millennial and Xennial. Let me introduce you to Liwen Shao. Liwen Shao is the owner of Shao Corporation. She is utilizing technology to create Jaeger drones to combat potential new threats that may appear and capitalize on novel technology. She has taken pilots from the Shatterdome and is using the work started by Dr. Newt Geiszler and Dr. Hermann Gottlieb to create a new glossy future for humanity. She sees the mistakes of the past, is extremely cynical, is a huge entrepreneur and is willing to go all out if it helps her accomplish her vision, even with someone telling her to slow down. Shao isn't the villain but facilitates the evil in the world by producing technology without thinking of all the consequences despite being cynical about humans most of the time. 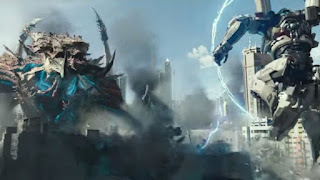 I'm not going into the villains here at all, although I have some opinions on that as well, but I think that victory is achieved in this movie through a similar way as in the first kaiju go-round. 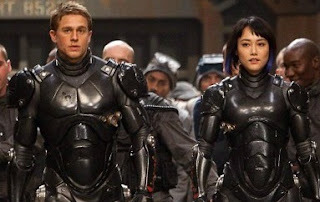 Pacific Rim was about unity but it felt more personal. The pilots are entering the Drift in pairs to bear the brunt of the Jaeger's neural load. Sure, the first movie has different countries coming together to fight against the extra-dimensional threat but it was a story about two people in a giant robot giving each other strength to fight to survive. 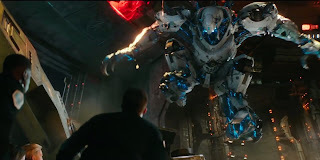 Pacific Rim Uprising does contain those types of pairings but it is more about a multi-generational unification. The PPDC and Shao Corporation must combine resources and utilize their different worldviews to accomplish the feat of winning against a bigger threat this time around. The ideas that seem diametrically opposed by the characters must be refocused and aligned to, ahem, cancel this apocalypse. There is a point where the Jaegers are almost entirely destroyed and the only path to success is to use everyone's input, technology, planning and knowledge gained from living in this world. The Jaegers made from hastily assembled parts by different groups of people is what saves us in the end. The future is saved and created by all these generations and ideas coming together for one goal- saving humanity.